Quality food grade stainless steel housing making cleaning easy - also reduces static. Tested and certified as ‘food safe’ by an independent laboratory; peace of mind for you. Conical ceramic burrs ensuring a clean grind - the burrs stay sharp longer, don't rust and are easier to clean. 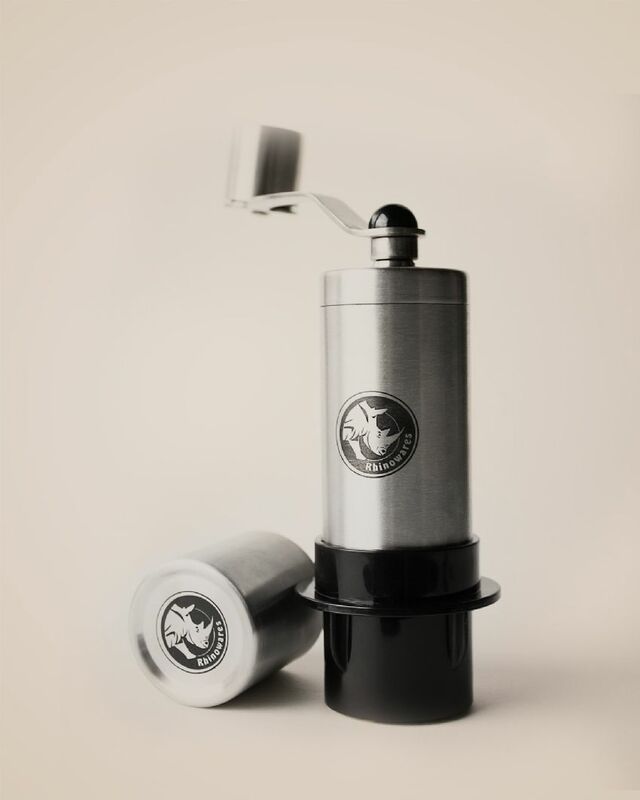 Compact size - body fits inside an AeroPress. A simple adjustment allows for a range of grind types. Ample capacity - can hold up to 42 grams of coffee beans. A convenient and protective carry bag.